Hear What Our Satisfied Customers Have to Say About Us! I am a brand new customer at Webster’s Imports, and am quite sure I’ll be a lifetime customer! This place is awesome. I’ve so far only met Don, who is amazing, really patient and helpful. He answered all my questions on the phone, then welcomed me when I arrived for the first time and made it all happen. My car issue was taken care of in two hours…while I was back at work. Love the shuttle option! I absolutely will be back! Major shout out to Roger, Will, Don and Slim over at Webster’s Import Service!!!! These guys know how to run a shop!! I called around trying to find a reasonable quote for a head gasket job on my 1998 Subaru Outback and Webster’s came back as the leader. After speaking with Roger, initially, I went there within 30 mins of my conversation with him. As the process unfolded, I was treated with kindness, respect and most importantly, appreciated as a customer! I thought my Outback ran good before I took it in, holy cow!!!! 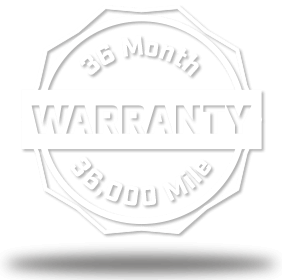 With a 2 year, 24 thousand mile warranty on the repair work – I will never go anywhere else!!! All of my friends and family WILL know about Webster’s Import from this point forward. Thank you all!!!! Roger and his team were outstanding. They worked on my 2003 VW Passat. Replaced the external CV boots, replaced valve cover gaskets, and fixed a pinhole coolant leak near the heater core. Their price was easily 30% less than dealer estimates. I was especially happy with their ability to slide the hose a bit higher and clamp it to stop the coolant leak, rather than having to replace the heater core at this time. Smart! I will bring my Passat back for future work because of their expertise, customer service, and price. Roger and his team are great to work with. He makes even the most unpleasant message (needing to spend money on our cars) a very nice experience. I will continue to use them as our primary car experts. Thanks for always putting a smile on my face. My father-in-law had taken his 2006 Avalon to a dealer’s service facility in his hometown. What started out as a fuel injection service turned into a estimate of over $2500 to replace a rack and pinion, battery and CV joints. The dealer told my father-in-law that he was at risk by driving the car home. Thanks to Webster’s, he was able to get a second opinion on the list of dealer recommended services (most of which were bogus). It’s a shame these practices are so prevalent today but it’s a blessing there are still reputable shops like Websters people can count on to be honest and professional with their customers. I first used Websters in 1987 for my Mazda. Over the years we moved away but upon returning to the triad, sought out Webster’s once again because I remembered the trust I had in their diagnosis and repair work. Webster’s consistently provides a top quality repair experience. 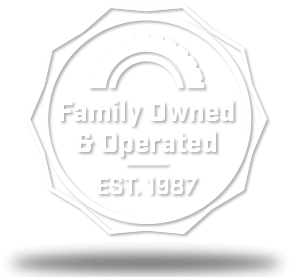 They are always forthright, courteous, and make the repair experience as convenient as possible. It’s great to know that at Webster’s, you can trust the folks who service your cars. Always great service at fair prices. I have used Webster’s for 20 + years and, over those years, they have done repairs on foreign and domestic vehicles for me. Always excellent results. A recent visit for a starting problem was promptly diagnosed and repaired to my usual satisfaction. Repairs needed have always been discussed and cost of those repairs are always discussed before they begin service. Webster’s has technicians who are extremely competent and they are always available to describe vehicle problems to customers. The entire staff has always been a pleasure to work with over the years. Again, honest, dependable and fair service. I’m sure the next 20 years will be the same. Give them a try. From the greeting at the counter, to driving away, there is an awareness of confidence. It will be taken care of, no suprises, and all with a family/friendly atmosphere. Having my vehicles serviced at Websters is a rewarding experience, and has been for twenty-years. Thanks, Websters. This little word expresses my sincere gratitude and heartfelt appreciation for the excellent service your company provides to clients. As the single driver in our family, knowing you all are there for me through every little problem is my peace of mind. Many thanks for getting me in and out so quickly yesterday so that my car could be serviced before going to work. I appreciate the quick response and very reasonable price. I will be back. Many thanks for your special effort of going to work on Sunday to move my 2002 jag out of the fence so we could pick it up on our way home from Birmingham. We really appreciated that. And we appreciated the constant contact with us on the car and the necessary repairs and the expert work done. I have been to many auto repair shops over the past many years but have never seen a seperate inspection sheet showing areas to watch. Nice touch! We own two Honda Accords which we have serviced at Webster’s Import Service. Recently, our older car (1999) developed and electrical problem which was causing the battery to drain. Roger, Will, and their staff worked on the car for over a week, before finding the problem. 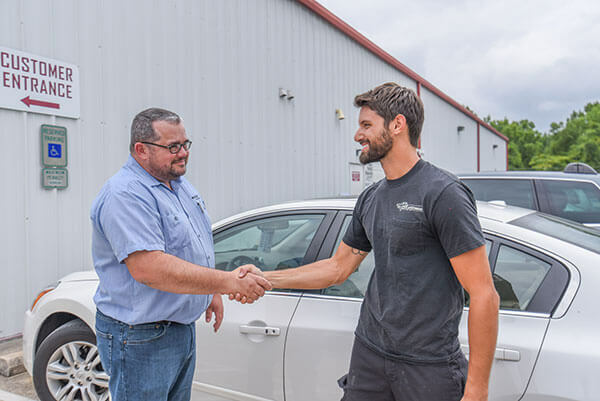 Not knowing much about cars, we were not sure it could be repaired, but Roger and Will both said, “We will fix it.” We would like to commend them for their patience, knowledge, and outstanding customer service. This shop sets the gold standard for honesty and integrity. Webster’s Import Service diagnosed a problem with my husband’s truck and repaired it. I find that for almost 15 years Webster’s Import Service has had integrity. They call back to make sure that everything’s right and answer any questions. If there is a problem you can go back and they are ready to help you without always charging you. I consider that fair dealings even though people like to abuse those systems. Their pricing is fair, I’ve never been gouged, and the price is comparable to competitors in the area. I’ve never been mistreated because I’m a woman, I’m addressed respectfully, and none of the staff has ever been innappropriate in their language to me. I trust Webster’s Import Service, they provide shuttle service, they are good to work with, and I recommend them to my friends.